Bud is a huge 'Slush Dog' fan, as he calls the frozen treats (I'm sure you can work out why) but we generally only give him the opportunity to try one when we're out for the day. 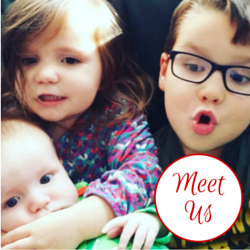 When the opportunity arose for us to review the Chill Factor Colour Blast Slushy Maker I knew it would be the perfect way for him to enjoy slushies at home, and for me to make them a bit healthier too! The original range has been around since last Summer and Bud has been fascinated by the cup that his cousins own. The Colour Blast range offers four new cups in bright colours - blue, green, pink or red. We received the red slushy maker. The cup is in three parts, you have the squashy main part of the cup, this is the part you need to freeze, the rim of the cup which unscrews for washing, and the domed lid, complete with hole for the spoon/straw to fit into. You need to freeze the cup prior to use, for around four to six hours. As soon as you are ready to use your cup, you simply remove it from the freezer and add your favourite drink, then squeeze! I've seen these cups but I was really sceptical about whether it actually was that easy to make it. Surely there had to be more to it than simply squeezing. Well, I was proven wrong. I filled our cup half full with orange juice, squeezed for a minute or so, and was amazed at how quickly the slush formed! I found it easier to let the drink sit in the cup for a few seconds before starting to squeeze as this seemed to take less time when I did it that way. Squeezing the cup is really easy, there is little resistance and you will see the liquid move up to the top of the cup as you squeeze. I'd suggest not filling the cup as this could lead to spillages when you start to squeeze. Bud's favourite slushy so far has been orange juice, but we've also tried blackcurrant squash and apple juice. Fruit juice is great as the consistency really lends itself to forming a smooth, and very tasty ice. I'd like to try a few more drinks in the cup, perhaps one for the grown ups? We've been keeping the Chill Factor cup in the freezer since it arrived, as recommended, and Bud has been enjoying a slushy most days. It's always ready to use if we freeze it again as soon as it is washed after use. It's reassuring being able to make one with fruit juice as I know I'm not giving him sugar filled syrup, as I would be in the slushies you buy when you are out and about. I can envisage it getting even more use as the Summer gets closer and the the need for ice cold drinks increases! 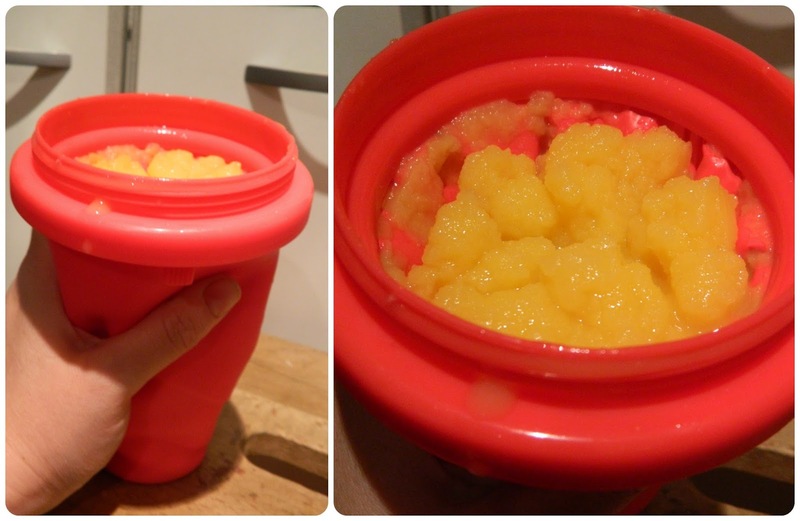 The slushy maker is really easy to keep clean and the lid and spoon are dishwasher safe, in the top rack. The cup should be hand washed. All are BPA free. 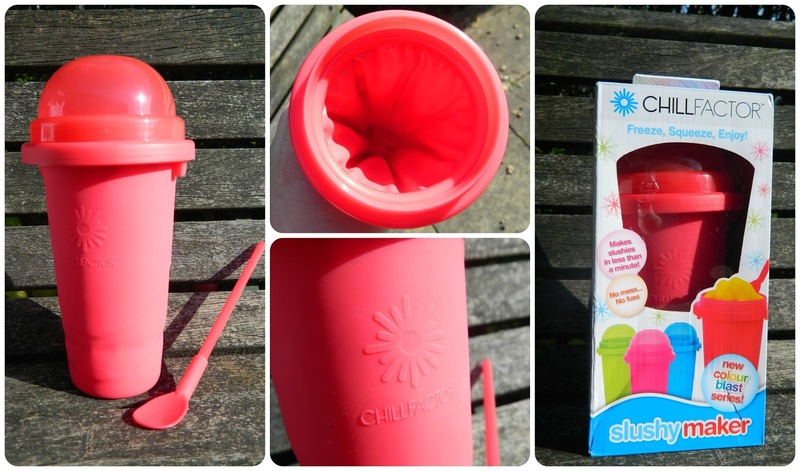 Chill Factor Slushy Maker Colour Blast cups are available from Character Options and the usual stockists with an RRP of £12:99 which I think is very reasonable value for money for something that has quickly become a staple in our kitchen. Disclosure: We received this item in exchange for an honest review.